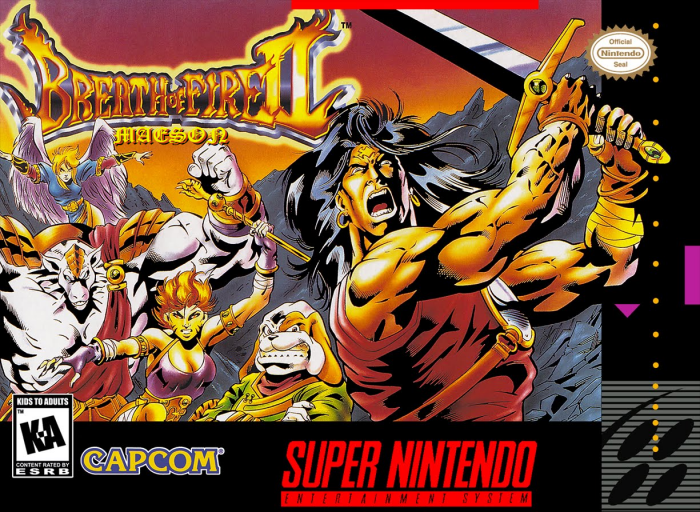 Breath of Fire II Maeson is a Super Nintendo ROM hack based on the Breath of Fire II SNES game. This hack makes various changes to the game to make it a smoother and more fun experience. 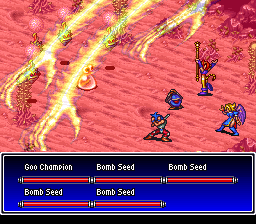 The idea of Breath of Fire II Maeson is to fine-tune various aspects of the original game to make them better and, as a result, add to the enjoyment of the overall experience. Some big changes are still evident, but the subtler details are the bigger focus of the project. There is a huge amount of information describing everything that’s been changed or improved upon in the hack’s readme file. For example, the characters are more properly balanced and useful. 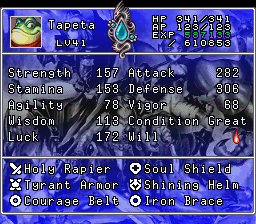 The least useful characters of the original Breath of Fire II could now be taken into consideration more thanks to their buffs. Spells could be used a lot more freely, as well. Characters can learn different spells, and there are re-balanced EXP and Zenny rewards provided upon the defeats of enemies. If you’re interested in seeing everything else the hack has to offer, Breath of Fire II Maeson may curb your cravings. What’s described here is just a sample of the many changes and improvements made to the game for the hack. Question : Can I download and play Breath of Fire II Maeson SNES ROM Hack? Answer : Yes 🙂 You can download Breath of Fire II Maeson ROM from ROMHacking. The download links have been tested and are working at the time of posting this article, If you find the links don’t work please let me know by posting a comment below. Question : What Emulator Shall I Use To Play Breath of Fire II Maeson (ROM Hack)?